A pioneer in design and implementation! Furuno Finland's bridges are always unique customized implementations. The solution can range from a basic implementation to a comprehensive package that exceeds the legal and statutory requirements. 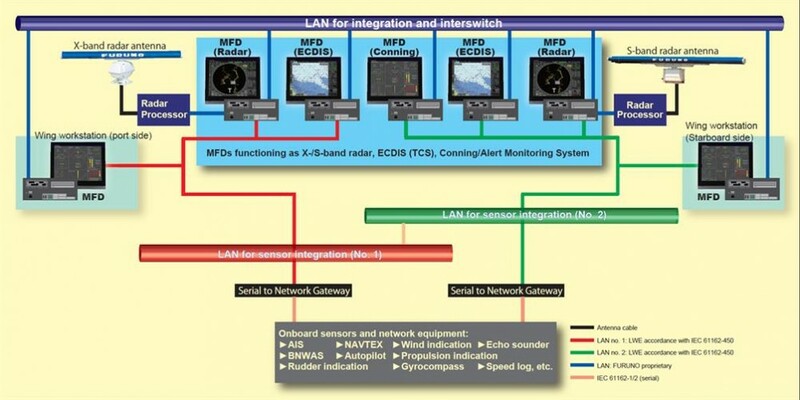 The basic implementation is typically implemented using separate radars, ECDIS equipment and other sensors. An extensive compliant solution consists of integrated devices, such as radar, ECDIS, Conning and Track Pilot. We design systems with the customer and shipyard fulfilling the classification society requirements.